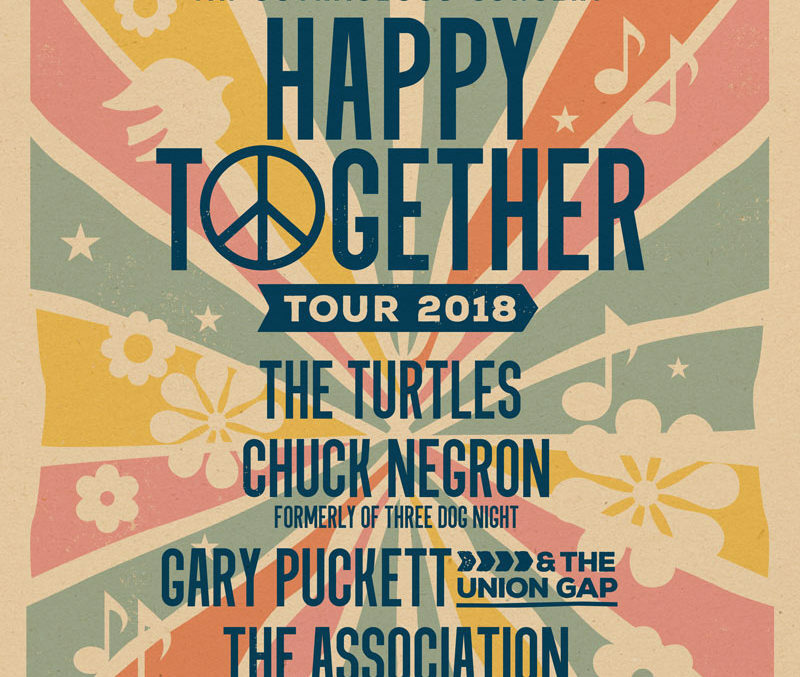 The Turtles, "Happy Together (1967)"
Chuck Negron formerly of Three Dog Night, "One"
The Happy Together Tour of 2018 is back by popular demand, once again highlighted by The Turtles. Their debut single, Dylan’s “It Ain’t Me Babe,” went Top Ten in 1965 and launched the band on a brief string of hits: “Let Me Be,” “You Baby,” “Grim Reaper of Love,” and “Can I Get to Know You Better.” The Turtles weren’t content, however, and were about to break up; but first they released “Happy Together,” which proved to be their biggest hit, and one of 1967’s Top Ten records. With their career reinvigorated, “She’d Rather Be with Me,” “You Know What I Mean,” “Elenore,” and “You Showed Me” were their last single releases. Don’t miss out on tickets to this compilation of some of the best music of the 60s! So “invest a dime,” and “imagine how the world could be so very fine” with tickets to the Happy Together Tour 2018!